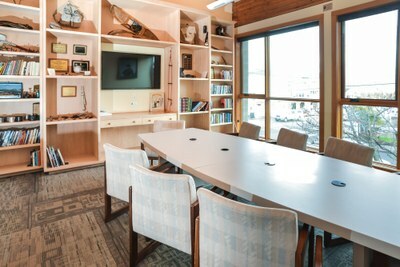 Serving as the premier venue in Old Town, The Mountaineers Tacoma Program Center is a hub for Mountaineers activities, community and corporate events for private and public organizations. AVAILABLE FOR RESERVATION UPON REQUEST. The Mountaineers Tacoma Program Center, located in historic Old Town, overlooking Commencement Bay. 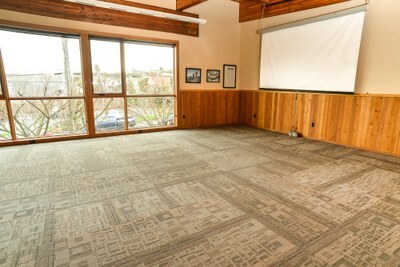 Our newly renovated facility has three rooms available for outside rentals to local businesses, government agencies, nonprofit organizations and the general public for meetings, training sessions, and other social events. Get directions. For rental questions, please call Sarah Holt at 253-566-6965, or email info@tacomamountaineers.org. For more information on the Tacoma Program Center building room capacities, please download the Tacoma Program Center Information Sheet. For prices, download our Rental Rates Sheet. If you're interested in booking space with us, fill out the Rental Application and send it in. Parking is available in a public lot on North 30th at North Carr Streets, on North 30th Street, and on side streets. 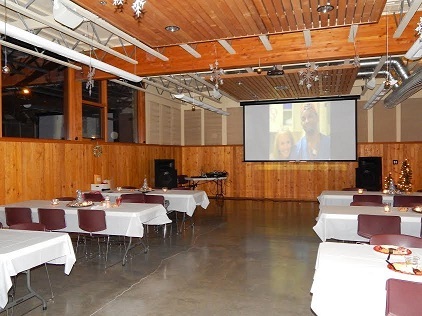 Suitable for larger gatherings with adjoining caterer food staging area with modest kitchen facilities; seats 85 people theater style, 64 to 80 for banquet seating; up to 150 for a reception; 12 banquet tables (8’ x 30") & 120 chairs available. 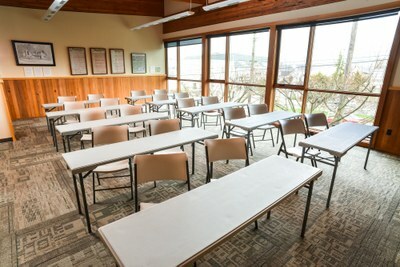 Suitable for classroom training; seats about 30 at tables or 42 theater style plus 9’ x 18’ table/lectern area; coffee & hot water access; 12 training tables (70" x 20") and 40 chairs available. Suitable for meeting room seating 10 around table plus 6-8 in observer chairs,plus chart board, big-screen video display, coffee & hot water access.